This program was approved for students entering the university in the Summer 2012 - Spring 2013 catalog year. Note: Admission to the major requires a minimum cumulative grade point average of 2.0 and a minimum grade point average of 2.0 on courses in the major. Completion of this degree requires work to be submitted for the program’s Learning Outcomes Measurement. For details, contact the LALS Director. All degrees require the completion of the University-wide General Education Program; see the General Education requirements and the courses that fulfill them. Some General Education requirements may be met in the requirements for the major or supporting coursework, in which case additional electives may be required to complete the minimum hours for the degree. Social Sciences: (select three courses, 6 of the 9 hours must be at the 300 level or above). Students also completing a second major in any of the areas listed below may use no more than 6 hours in that Department to fulfill this LALS requirement. 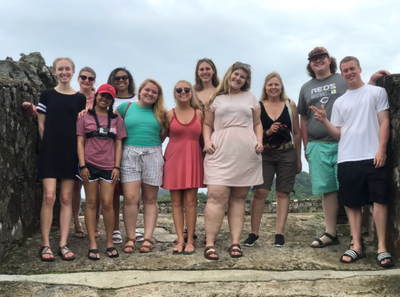 No more than 40 hours in the Latin American and Latino Studies program may be applied toward the Bachelor of Arts degree. At least 50 of the total minimum hours required must be at the 300 level or above.